Food, in many ways, is the gateway to living a more conscious and healthful life. But it's not just the dietary decisions we make; it's also choosing to buy food from those that are using their business to do good in their communities. For those food-based social entrepreneurs, their business model is where they make an impact, and like their food, no two seem to share the same recipe book. Food-based social entrepreneurs are in farms and gardens producing organic fare, growing the ingredients we need to make fresh meals, as well as opening up pop-up experiences, carts, trucks, and restaurants to feed us their tasty fare. They are all around the food system, figuring out smart ways to use their workforce, purchasing power, ingredients, products, profits, waste stream, and more to improve their community. Let's dig into the way three social entrepreneurs use their businesses of serving 'damn good food' to do the most good in the world. I have selected companies at various stages of growth to show how good ideas may start small, but ultimately can make a sizable impact. 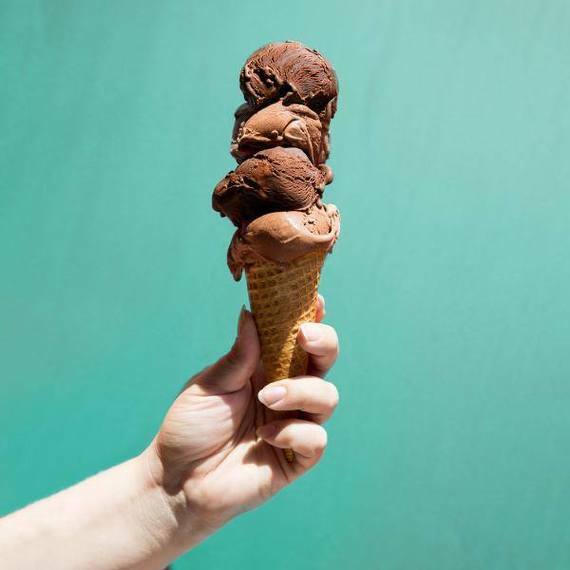 If you have been to Columbus, Ohio, you were likely ushered to Jeni's Ice Creams, a splendid frozen treat sweetening up the nation that's not only tasty, but is also made with a combination of fresh, seasonal, direct ingredients. With scoop shops across the country, this hometown favorite has scaled to reach America's sweet tooth. Having launched in 2002, Jeni's has become a wildly successful food business infused with doing good in its product, in the community, for the environment, and by its employees. Through programs like matching gifts, volunteer time-off, partner benefits, employee gardens, and community donations, Jeni's works to be a good place to work, as well as a good community partner. Jeni's is recognized as one of the growing number of Certified B Corporations, a certification by the nonprofit B Lab ensuring standards of social and environmental performance, accountability, and transparency. "Becoming a B Corp was a natural fit for us," adds Jeni Britton Bauer, founder and chief creative officer. "Making great ice cream is absolutely essential to our business, but so is building strong relationships in our community and company." Jeni's used their visually stunning 2014 Annual Report to show they are consistently making decisions that are both good for the environment and for the community. As the report states, "We give back to our communities with time, money, and sweat." When you support the community authentically, the community supports you back as Jeni's recently found out when it had to temporarily close its operations due to Listeria. Through the closure, supporters posted supportive notes on scoop shops, sent notes, tweets, etc. exclaiming their unwavering support. In a statement, Bauer said, "I am also grateful for the incredible support from our community, not only in Columbus, but across the country. I've read every single note, letter, comment, email, and Tweet. We feel the love and trust deeply in our hearts. When we are back up and running, it will be in very large part because of everyone's amazing support and encouragement." Indeed, when they re-opened, the community responded by forming lines at scoop shops just as deep for a familiar taste of something delicious. If ice-cream is at one end of the food spectrum, the opposite end may just be raw fish. FUSIAN is a fast-casual restaurant serving build-your-own sushi. With seven locations throughout Ohio and several more in the pipeline, they are directly using their product to make a positive impact in the community by helping make sushi and fresh vegetables accessible and appealing to school kids. 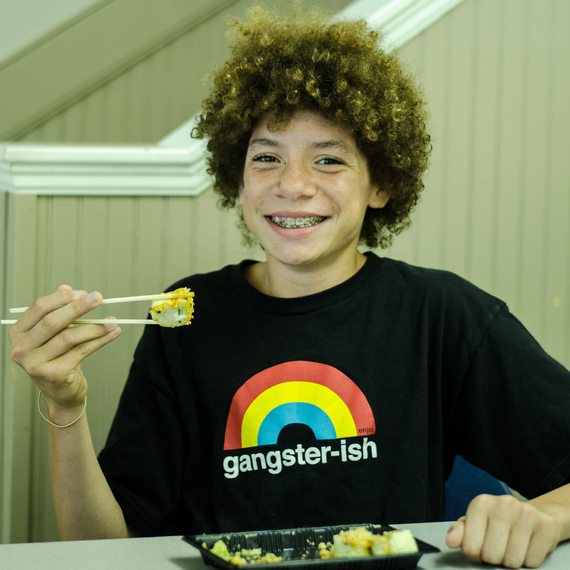 The first program, 'Sushi in Schools,' makes sushi rolls available to 27 elementary, junior high, and high schools that meets rigorous federal, state, and local nutritional requirements as an a la carte option in school lunch programs. FUSIAN serves sushi rolls that have meat and shellfish included as protein, as well as vegetarian sushi rolls. In some schools they actually offer raw selections as well, including tuna and salmon. They are currently serving more than 27,000 pieces of sushi per week. The second program is FUSIAN's participation in the Cincinnati Public Schools' (CPS) Veggie Demo Program. Through support provided by a federal grant, FUSIAN visits every elementary school within the CPS system (40) and educates students about eating vegetables by having them taste and learn more about vegetarian sushi rolls. This program has introduced more than 20,000 elementary children to healthy, delicious food, a new culture, and a fun way to eat vegetables. This might be the only sushi being served in public schools countrywide, and has had extremely powerful effects, some unintentional. Jessica Shelly, the food service director for Cincinnati Public Schools, is responsible for the nutrition of more than 34,000 children across 53 schools, and is the leading advocate for integrating sushi in public schools. She reached out to FUSIAN after receiving an eloquent letter from a high school student urging sushi as an option in the school cafeteria. "There was a fear that sushi would cannibalize the school lunch program," said Shelly. "But it has done just the opposite. It drives students to the lunch room and increases demand for other products. Participation in school lunches has gone up, which is a great win -- a win because more kids are eating healthy lunches." Of course, one cannot worry about nutrition all the time. Sometimes, you just need a tasty, quality meal. 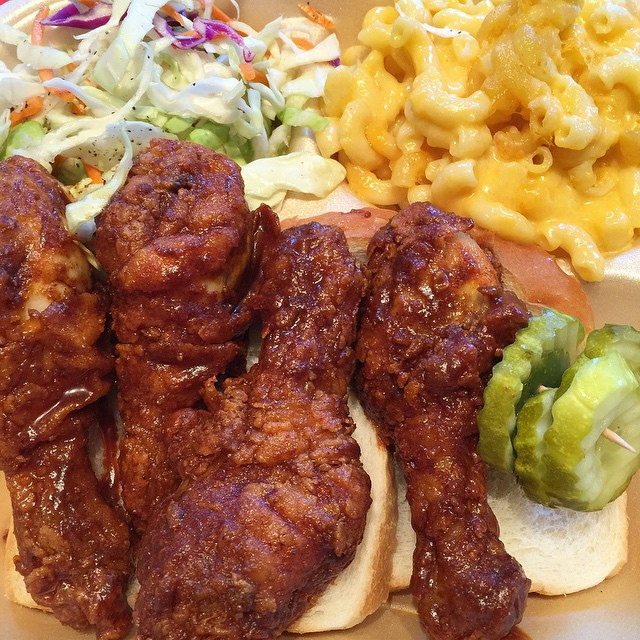 With one brick-and-mortar restaurant located in the hip North Market of Columbus, Ohio, and a food truck now being courted by neighborhoods throughout the city to come and make a stop, Hot Chicken Takeover (HCT) is growing fast, and presents another social entrepreneurship model worth exploring. 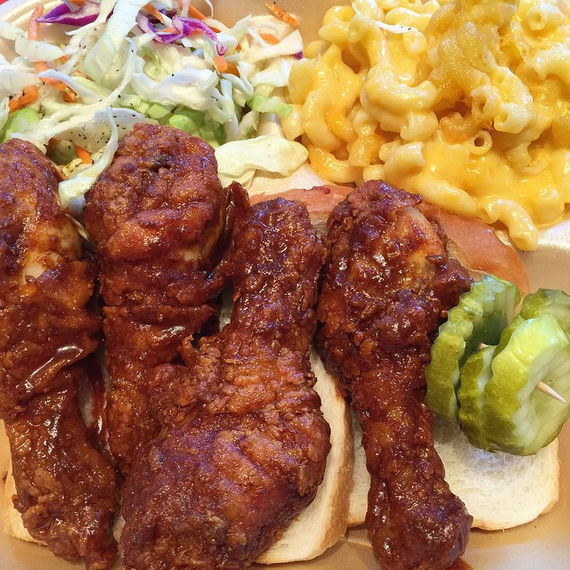 Seriously spicy fried chicken is splayed over a piece of white bread and topped with a toothpick, served alongside three crisp dill pickle chips and a couple of homestyle sides, is all you can order from Hot Chicken Takeover (HCT). It may not be healthy, per say, but trust me, it's damn good. It's founder, Joe DeLoss, will admit that it's hard to make fried chicken healthy, but he is using its workforce and HR-benefits to make an impact on the community. HCT provides second chance employment opportunities to adults impacted by incarceration and homelessness. Men and women who've been incarcerated may have served their time, but it's nearly impossible for them to find employment. In fact, if someone released from prison hasn't found work after six months, the chances are, they will end up back in prison or jail. These 'returning citizens' make up over half the workforce at HCT. "HCT's HR strategy isn't charitable; it's the backbone of our business. It provides a team whose productivity and commitment would rival any team out there," said Joe DeLoss, the founder and 'Head Fryer' of HCT. HCT's compassion doesn't end with the hiring process. Indeed, the company provides a litany of benefits, like paid time off, financial and personal counseling, short-term, interest-free loans, and much more. This is not your average fast-casual restaurant; it is a pathway to a new life for those deserving of a second chance. DeLoss concluded, "We've crafted employee benefits around financial stability, personal stability, and professional development, knowing that stability at home translates to stability at work." These three companies demonstrate that doing good in the community through their business is anything but cookie-cutter. Some of their decisions directly impact the bottom line and help drive revenue. Others better tie them to the community and help them retain a loyal workforce. At the end of the day, they are filling bellies, making people smile, and doing what they love.